Sherry Fitzgerald Gallagher are pleased to bring to the market No. 9 Tully. A solid three bedroom property, which comes to the market in pristine condition. 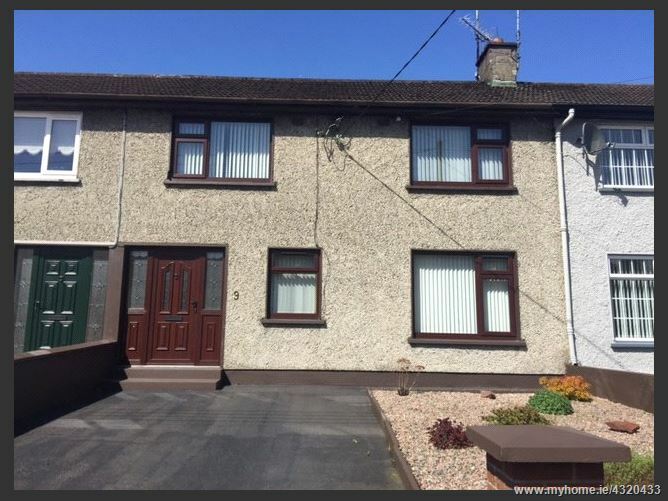 It is not very often that a property in Tully comes to the market as most of the original owners still occupy them, contibuting largely to its appeal. The accommodation comprises an entrance hall, kitchen/dining and sitting room at ground floor level with three bedrooms and bathroom upstairs. The front garden has been converted to provide, tarmac parking, as well as pedestrian access. The cottage style garden to the rear enjoys a very private aspect owing to the green field view beyond. Entrance Hall: 4.30m x 1.20m. Flooded with natural light. Kitchen/Dining: 3.18m x 3.96m + 1.02m x 1.64m. Modern fitted kitchen with a breakfast bar creating a natural divide between the kitchen area and the dining area. Living Room: 3.18m x 5.35m. Good size living room with window to the front and the rear of the property. Open fire. Access from the entrance hall and the kitchen. Bedroom 1: 3.6m x 3.2m. Doubel room to the front of the propert. Fitted wardrobes, wood floor. Bedroom 2: 3.2m x 2.5m. Double room to the front. Bedroom 3: 2.8m x 2.16m. Single room to the rear. Bathroom: 2.2m x 1.64m. Bath, whb and wc. Hotpress. Total Floor Area: 65 sq mts (695 sq ft )approx. Super town centre location ’Spar’ on your door step.